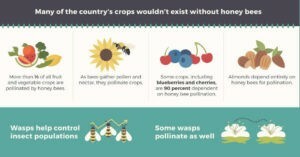 Bees or Wasps a problem? Can’t find a bee catcher or beekeeper? For a standard rate of $250 with normal ladder access we can safely get rid of (kill) bees & wasps. Call 0417 251 911 today, send us an email at bruce@a1pestcontrol.com.au or send us a message. “Got a bee or wasp problem? Struggling to find a bee catcher or beekeeper? For a standard rate of 250$ (with normal ladder access) we’ll take care of those bees. For good! Ring us up today on 0417 251 911 or contact myself at bruce@a1pestcontrol.com.au.” Bruce is always happy to take care of your bee problems for you! The following bee keepers in NSW can remove bees without killing them. We only remove bees by killing them with low-toxic insecticides when they are in, or close to houses or a pest to people’s living areas. Don’t attempt bee removal on your own, without the assistance of professionals. This is definitely NOT advised as bees can attack unprotected people. Approaching a hive, especially while they are swarming, is very dangerous. To get rid of bees and wasps, nest or hive control, inside homes requires chemical control and professional knowledge. 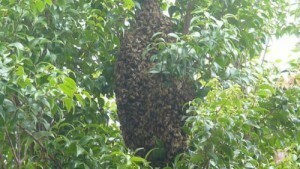 Physical bee removal or relocation of the hive is possible, although the chances of the hive being destroyed are high. Professional services of an exterminator are needed when bees & wasps have hives that are inside a home or high in trees or located in hard-to-reach places. Costs for bee control in these circumstances are varied, so shop around. You can expect to pay around $200 to $300 for a pest controller or slightly more for a bee keeper. 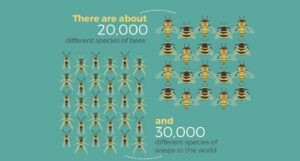 Bees or Wasps a problem? For fast action call 0417 251 911 or send us a message. Send us a message for a free quote and advice, 7 days a week. Central Victorian Apiarists Association Incorporated . BRISBANE AMATEUR BEEKEEPERS’ SOCIETY Incorporated.